Outstanding!!! Korea was no joke and we have thanks to your father for creating the 38th Paralell!! He set up communications to alleviate the onslaught of chineese troops crossing the border there!! I think over maybe 300.000 chinese combatants,,If not for your father our Artillary would not have pounded them to the point of their retreat!! God Bless Him!!! Thank you Timothy. 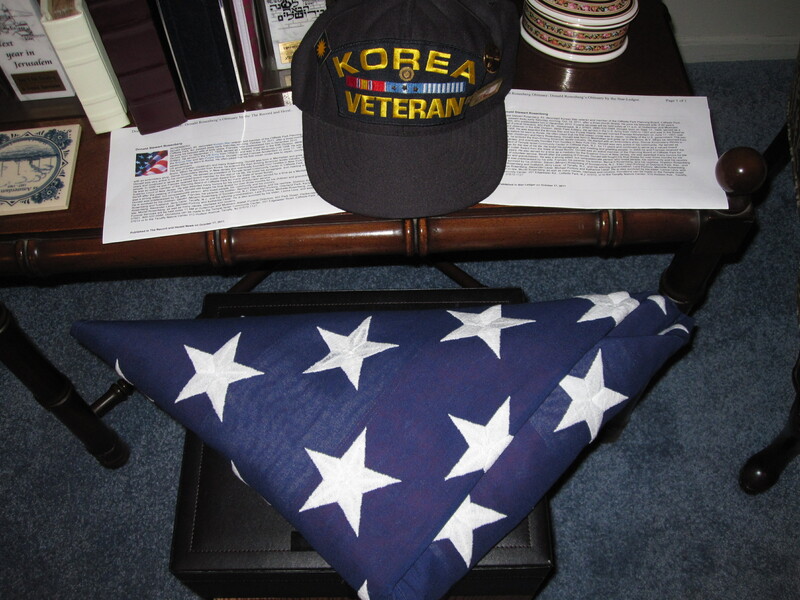 My Dad, as I said, was proud of his service. He was proud to be a forward observer and radio line man. And it was a most difficult position to have survived. So sad. Proud and duty.